Filmmaker Ryan Coogler handed in his latest draft of Creed, a movie he aims to make based on the Rocky franchise character Apollo Creed, played by Carl Weathers. Coogler told THR he sent the latest draft of the project to backers MGM upon his arrival in the London -- his first visit to the U.K. -- where he is supporting the screening of Fruitvale Station at this year's Sundance London film and music festival. 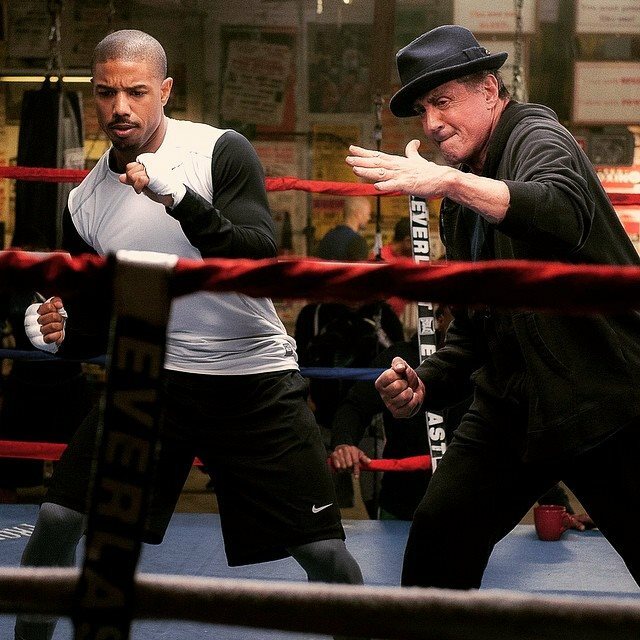 Coogler said Creed -- which is set to star Fruitvale star Michael B. Jordan and Sylvester Stallone, who was Oscar nominated for the first Rocky film -- focuses on the boxer's family and where they are now, years on from Creed's highs and lows in the ring opposite Stallone's Rocky Balboa character. Coogler said: "It brings us up to date with where his family is now." The filmmaker had taken the idea to write a movie based around the Rocky franchise to MGM before Fruitvale Station got up and running.
" It was an idea I came up with. My dad was a big Rocky fan and he and I are very close, so we would watch the films together. We went through something in our relationship, and as part of the venting process, I came up with the story. I never thought it would see the light of day," Ryan said. "I met with Stallone about this before we shot Fruitvale, and we ended up talking to the studio about it. " Ryan said Creed has been inspired by Rocky, released in 1976. "If you look at the first Rocky, it's on that scale. It's got some of the same things, which I find interesting. I'm excited for it, I just hope everything works out," he said. And the filmmaker admitted he's had to hide his "fanboy" side when speaking with Sly. " Stallone is crazy smart, and he's like this brainy dude who has made 60-odd movies, written screenplays and paints. I can't be a fanboy around him." Could be good, but boxing movies always look good in trailers. Fingers crossed, since MBJ could use a good outing after the drubbing Fantastic Four is getting. can you take me higher to a place where blind men see? As the director of the promising “Fruitvale Station,” Coogler’s advances as a director are particularly exciting. He jumps to a big franchise project with ease, and more importantly maintains humanity and relatability. Some of his long, choreographed tracking shots —a fight is practically done in one long shot— is thrilling, and none of it is overly polished either. “Creed” has a Philly grit that lends an air of integrity and authenticity to the need to go the distance. Still, my greatest fear would be Coogler being stuck in a new Creed franchise for several years; he’s growing more and more dynamic and seasoned and he feels like a filmmaker with many stories to tell. Yet as much as “Creed” doesn’t break the mold, it’s definitely a worthwhile entry in the series capturing the spirit of the classic “Rocky” movies. It might not be particularly unique, but as the best “Rocky” film since “Rocky II,” it’s a likable, sure-to-please commercial winner. This movie delivers. Michael B. Jordan is great, as always. Coogler plays into all the conventions you'd expect, but manages to nail them all. Captures everything fantastic about the early Rocky films and brings it into the modern era in a way that most reboots never can. It's uplifting, emotionally involving, shows itself to be a direct descendant of the first few Rocky films but adds its own flavour and vibe. I reckon this deserved to be among the other best picture nominees. Just a damn solid movie that goes by the book and exceeds expectations (despite the cliches and callbacks). Rylance was brilliant in BoS but I honestly preferred Stallone's performance over his. Vulnerable but as endearing as ever. Also, the love interest was definitely influenced by FKA Twigs. I've been rewatching the Rocky films recently, so I just watched this one. I don't know, there's something really deep in the first few Rocky films and this one that really gets to me. You see it in the relationship between Rocky and Adrian, in how Rocky just walks around Philly and in Rocky himself. It's hard to explain. This film was by the book and if the sequel gets made, it will go by the book. I predict Donnie's rise into the upper echelons and his struggle- subsequently resulting in his champion title win, the struggles of his girlfriend losing her hearing and Rocky's still declining health. But I'll be fine with that if it captures the feelings and overall competency of this film (and Rocky 2).